Sharing files is one of the things most often done by Android users. In general wifi file transfer can be Photos, MP3 Music, Videos, Documents, Apps / Apps, and much more. 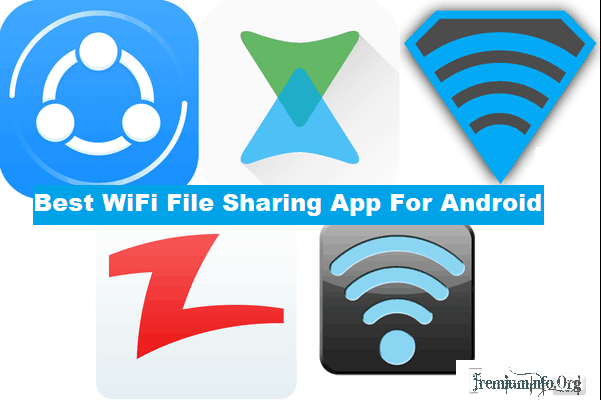 So here are best WiFi file transfer app for android which are fast and free. Every time our friends ask for photos, songs, or Applications of course we have to give. But If the size is very large we may feel lazy to send because we have to wait too long. Imagine if one Photo File Measuring 2 MB, while the request there are tens to hundreds of course this will take hours if we use a regular file transfer (Bluetooth). There are actually many advanced and full-featured file transfer applications that can send files faster than Bluetooth. But usually the application uses Wifi connection as a transfer media. More details, you see the review of the application below. On this occasion I will share the best and fastest and fastest file sender application that can send files in seconds. The applications below I summarise briefly from Google Play Store sources. If interested, you can read the app review and download it directly from the Google Play Store. SHARE it – File Transfer is the fastest and most widely used android file transfer application downloaded on the Google Play Store. More than 400 million android users downloaded and using this application. The main advantage of SHARE application is that it is capable of sending files 200 times faster than Bluetooth. Don’t worry, this app does not require internet connection so you can share files easily without reducing internet quota. Without internet connection, can share data anywhere and anytime. Transfer speed is 200 times faster than Bluetooth. The transfer peak reaches 20 MB / s more. Can share files to multiple platforms starting from Mobile & tablet & computer, Android & iOS & Windows Phone & Windows XP / 7 / 8.10, and so on. It can share many files from photos, music, videos, files, and more. Can move all SMS, MMS, Music, and Applications files from old phone to new phone with one click. Xender: File Transfer & Share is the best wifi file transfer app capable of sending file sharing as you like from documents, music, pictures, videos and apps with few touches. With the latest PC Connect feature, Xender can transfer anything you need between phone and computer, PC, MAC or Chromebook. No USB, no internet, no internet quota. Supports transfers between Android and iOS. Can share in a group cornered up to 5 devices in the same time. Transfer all files from images, music, videos, and apps / apk. Can send video or music in seconds. 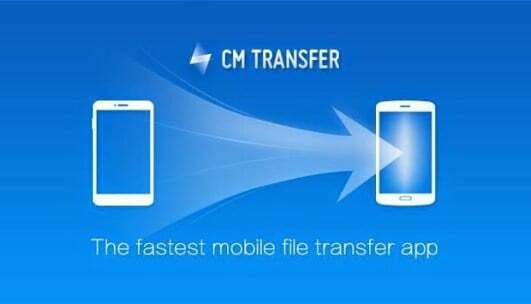 CM Transfer – Wifi File transfer app is the best wifi file transfer app for android developed by the Cloud Cellphone Cheetah (NYSE: CMCM) developer. Application made from CleanMaster ™ is the best application with a high enough star rating. The app is capable of sending files at a high speed of 5MB / s – 10MB / s – 160 times faster than Bluetooth. With this application, you can send music files, pictures, photos, videos, apk applications quickly without having to wait. 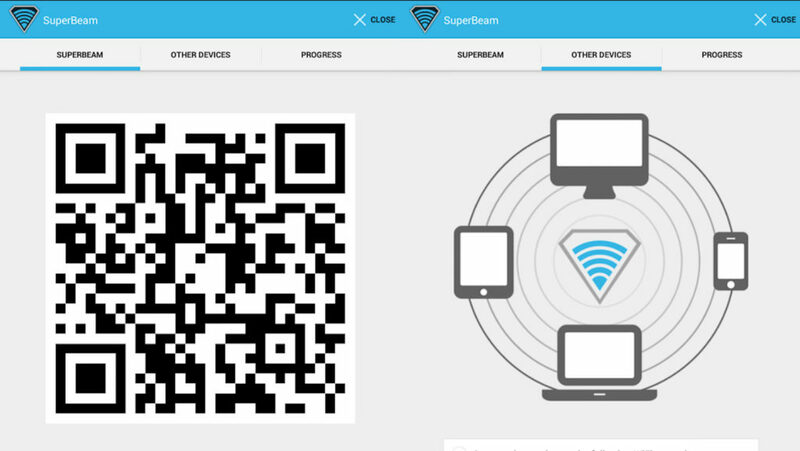 Superbeam is the best android file transfer application that is able to send desire files easily and quickly with WiFi connection directly. This application is very unique, you can use QR (with QR scanner code included) and NFC to be able to send files fellow Android or IOS users. Sharing with a device that does not have Superbeam through the web interface. Share one or more files of any type (photos, videos, zip files, APKs, contacts, and more). User Interface with modern material design simple and simple. dark theme with color AMOLED. HitcherChat – Wifi Direct Share is the best wifi file sender application that allows users to quickly and easily share streaming video, images, files and chat messages through an intuitive interface and without connecting to the internet. Interested in trying, free download through the Google Play Store. File Transfer is the fastest application to send and receive files and folders from other smartphones, tablets, and computers. Transfer works cross-platform on Mac, Windows, iPhone, iPad, iPod Touch, and Android. With this application, you can send and transfer files quickly and easily without USB cable. Interested in trying, download the free File Transfer app through the Google Play Store. 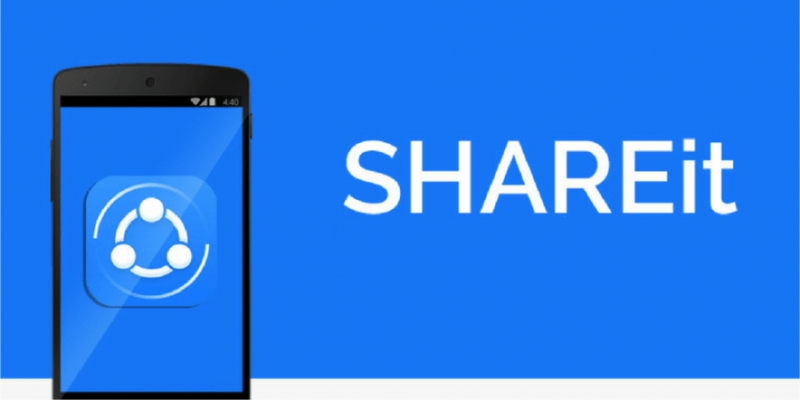 Share Link – File Transfer is an android app developed by ZenUI, ASUS Computer Inc. This app is created for the purpose of sharing multimedia files such as music, videos, pictures, photos, videos, apps, and so on. This application can send files with one tap without having to connect to the internet. Send and receive files like photos, videos, music, apps, and documents. Can connect with all brands of Android devices. File transfer is complete over Wi-Fi and does not require an Internet connection. Connect and transfer files with your nearest PC after installing Windows® version. ShareCloud (Share Apps) is an Android App to share apps, music, videos, pictures, files with family and friends with a single click. More than 10 million android users have installed and used this app. ShareCloud can share files via Bluetooth Features, HotSpot, Email, Dropbox, WhatsApp, Google Drive, Facebook, etc. Download free ShareCloud app through Google Play Store. Send Anywhere is an android file transfer application that you can easily use to share photos, videos, contacts, etc. with many devices according to what you want through a six-digit key, QR Code, or through social media. One of the hallmarks of this application is compatible with all devices like Android, iOS and PC, Mac, Linux, Chrome Extension, and Web Widget (https://send-anywhere.com). 4 Share Apps is a file and file sharing application with unmatched speed. You can easily share photos, music, videos, documents, and applications at 20MB / s Without USB, No data usage, and No need internet network. Interested in trying, download a free 4 Share Apps app through the Google Play Store. My last app sharing recommendation is Bluetooth File Transfer. All versions of android may already be available with this app, but recently the news comes that the upcoming Bluetooth 5.0 version comes with a sophisticated feature capable of sending files 4 times faster than normal. Interested in upgrading Bluetooth, wait for his arrival on the Google Play Store.